A company that earlier this year launched a platform to provide law firms with enterprise-grade workplace collaboration technology is today announcing its expansion of that technology to service corporate legal departments. When it launched its platform last June, Workstorm initially focused on providing its technology to law firms. For firms, the platform enables secure communications and collaboration among partners, associates, staff, clients and opposing counsel, all from within a single platform. Similarly for corporate legal departments, Workstorm is intended to serve as an all-in-one platform to conduct everyday business. 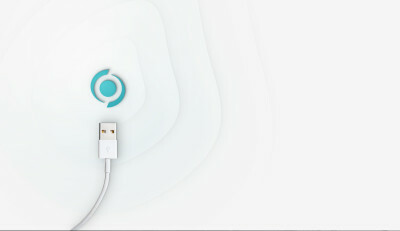 It provides messaging, video conferencing, file sharing, screen sharing, email and more. It can integrate with a company’s existing email and document-management systems and can also provide custom integrations for enterprise customers. In an interview earlier this year, Michele C.S. Lange, vice president, legal technology, at Workstorm, told me that Workstorm developed its product for the legal industry because no one had built a collaboration platform designed specifically for its needs. “What was compelling to me in Workstorm’s vision was that the legal industry has yet to really adopt a collaboration platform because nothing has been built for them,” Lange said. 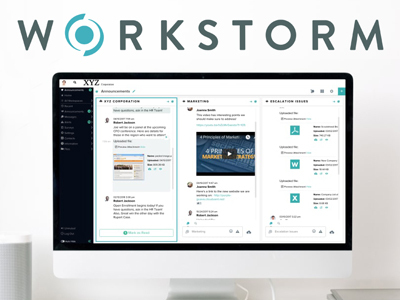 Within Workstorm, users work within a customizable dashboard to create Workspaces to organize their communications with individuals and teams around clients, deals or matters. Workstorm includes its own email client that lets users send and receive Microsoft Outlook and Office 365 email directly within the platform. The platform includes a full range of proprietary security settings, internal and external communications permissions and a suite of integrated product offerings. Use cases within an organization include support for litigation, contracts, IP management, deal negotiations and any collaboration between law departments, their internal business clients, their law firms and other providers. A free trial is available to legal departments at this link. Founded in 2015, Workstorm is headquartered in Chicago.